Modern African culture with focus on theatre and performance, Pentecostalism and pentecostal culture, indigenous African religions, religious creativity, Yoruba studies, and black popular culture. Abimbola A. Adelakun earned her PhD in Theatre and Dance Department of the University of Texas at Austin along with a doctoral portfolio from African/African Diaspora Studies. She holds two MAs, one from UT Austin, African/African Diaspora Studies, and the other from University of Ibadan, Communication and Language Arts. She studies modern African culture as they are lived and performed through the disciplinary lenses of performance, gender, Africana, and Yoruba studies. 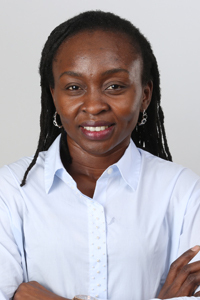 Her academic articles have been published in Journal of Women and Religion, and Jenda: Journal of Culture and African Women Studies, and several book collections. She recently published a co-edited book collection titled Art, Creativity, and Politics in Africa and the Diaspora. Her ongoing book project is entitled Spiritual Frivolities: Performing Pentecostal Pleasures. Abimbola is also the author of Under the Brown Rusted Roofs (Kraft Books) and she also writes a weekly column for PUNCH Newspapers. Her research has been supported by John L. Warfield Center for African and African American Studies, Mellon School of Theatre and Performance Research in Harvard University, AAUW (International), and the Frances and Sanger Mossiker Research in the Humanities. She is the 2018 Wangari Maathai Award for Scholarship and Leadership Excellence. An intensive beginning course with an emphasis on basic skills: listening, speaking, reading, and writing. Together, YOR 601C and YOR 611C (the latter of which will be taught in Spring 2015) fulfill the College of Liberal Arts foreign language requirement. In this course, students will study ethnographic methods including observant participation, interviewing, and oral histories by conducting fieldwork in East Austin communities. Students will apply the techniques they learn toward an investigation of Black out-migration and gentrification in Austin. This course provides students with skills in critical ethnography by foregrounding the racial politics that shape community-building and city development. Objectives: Upon completion of this course students should be able to differentiate between qualitative and quantitative research methodologies, conduct ethnographic interviews, maintain a fieldwork notebook, create survey research, conduct oral histories, and identify the major components of critical ethnography as a methodology. One of the three main languages of Nigeria, Yoruba accounts for about 20 million speakers of the language in Southwestern Nigeria alone as we as another 15 million beyond the immediate Yorubaland, including Nigerian neighbors such as the Republic of Benin and Togo as well as in Haiti, Trinidad, Cuba, Brazil, among other diaspora nations where Yoruba is used in ritual and sacred rites. This course focuses on the spoken standard Yoruba language as used in contemporary Nigeria. Students will acquire all four skills in language instruction: speaking, listening, reading, and writing. In addition, students will be exposed to several cultural issues and values as they are gradually immersed into the Yoruba world and culture through language and other multimedia. This introductory course on African Studies reflects on the social, cultural, political and economic diversity of the African continent. It introduces students to major currents in African Studies through an interdisciplinary lens. By engaging disciplines such as history, politics, and economies alongside studies on culture, gender, and religion students gain a wider perspective on Africa and its people. This study will equip students with foundational tools to navigate more complex issues in an increasingly global world that range from international politics to artistic production. Additionally, it exposes students to the history of the field formation in an effort to contextualize dominant western narratives about the African continent. It’s aim is to prepare students to critically engage Africa and some of the most pressing concerns facing Africa(ns) at home or abroad.